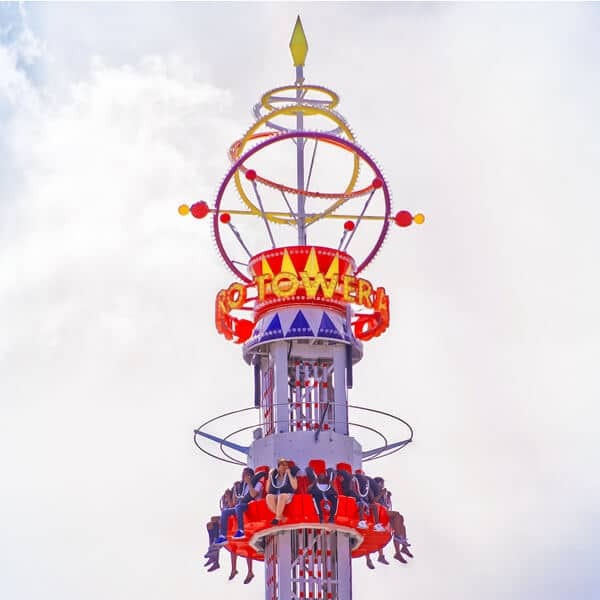 The 137’4 foot with 5,258 lights throughout Astro Tower – is a new landmark on the Coney Island skyline, provides thrill seekers with a mind-boggling experience filled with drastic free-fall drops and rotation. The new amusement joins the park’s must-experience rides such as the historic Cyclone Roller Coaster and The Thunderbolt. Astro Tower will be located next to Endeavor and across from Thunderbolt at West 15th Street and Riegelmann Boardwalk.